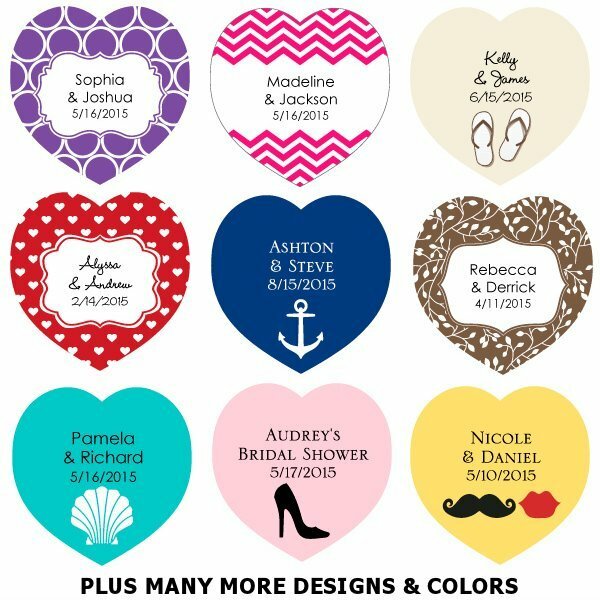 Sold in sets of 36, these heart-shaped wedding favor tags can be personalized with your first names and wedding date. With the 8 design and 15 color options, there are well over 100 different unique tags to choose from. What a great way to dress up your favors and add a custom touch! The heart-shaped tags measure 1 3/4" across by 1 3/4" tall. Can I just order one specific color? And also, can I add bride and groom's name, wedding date and thank you? 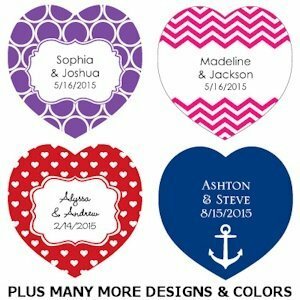 Yes, you can only select one color of the Heart-Shaped Personalized Wedding Favor Tags (Set of 36). You can also add a name and a date on it.